The Department of Ophthalmology at the PAN Clinic on Neumarkt under the direction of Dr. med. Georg Gerten offers the entire spectrum of diagnostic, therapeutic and surgical procedures aimed at maintaining, improving or restoring eyesight. The patients of the department can always benefit from the professional expertise of two surgeons and three experienced physicians of the department, as well as from the state-of-the-art technology and treatment methods. The priority focus is placed on the use of state-of-the-art laser and micro technology. In addition, the Department of Ophthalmology offers special consultations to promote eye care for children. 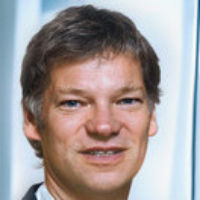 Dr. Georg Gerten completed his medical studies at the Universities of Bonn and Yale (USA). His medical specialist training in ophthalmology took place at the renowned university eye clinics in Bonn, Aachen and Dusseldorf. From 1992 to 1994 he worked as Leading Senior Physician at the Academic hospital of the University of Bonn in Lüdenscheid. Since 1995, he has worked as a registered eye surgeon in Cologne and takes over the medical management of the Department of Ophthalmology in the PAN Clinic. From 2006, as a medical director, he establishes the "Eye Clinic Neumarkt". There, Dr. Gerten operates in accordance with the principles of modern microsurgery, the so-called "soft surgery". Since then, over 30,000 patients have been successfully treated. Along with the Laser Center Hannover and the Senior Technical College for Laser Medical Technology in Remagen, Dr. med. Gerten is responsible for various research projects. He is currently overseeing the most renowned German research project "Laser therapy of presbyopia" funded by the Federal Ministry of Education and Research (BMBF). As a scientific author, he has published numerous articles on various topics in ophthalmology. As an internationally recognized specialist, Dr. med. Gerten regularly gives lectures at congresses and symposia. He leads postgraduate courses for ophthalmologists (DOC, DOG, ARVO, ESCRS) and works as a reviewer for various scientific associations.